1975 was a pivotal year in Peterson’s history. 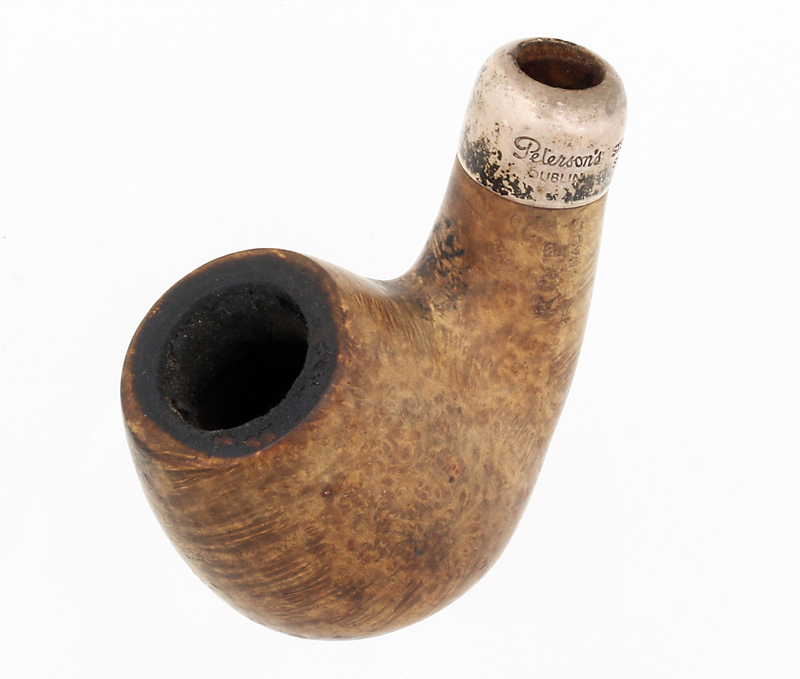 The world-wide pipe-smoking community was nearing its zenith, and the company was at the most expansive point in its history. Peterson was celebrating what it thought of as its centennial, and marked the occasion with a number of celebrations, including the most elaborate catalog it had released since 1906. 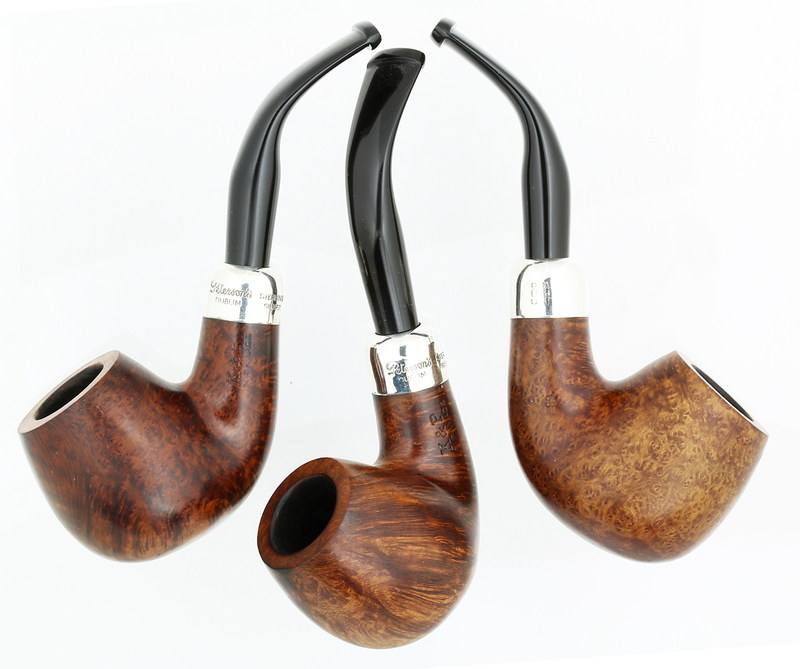 Four years later, under the direction of W. F. Murphy, Peterson continued its expansive effort by introducing a number of shapes which have become iconic of the Peterson house style in the years since: the 03 and 02 bent apples, the 01-bent pot (itself an homage to the straight-sided billiards of Charles Peterson’s design), and the 05 bent dublin (replaced in 1984 by the equally important 305 calabash). 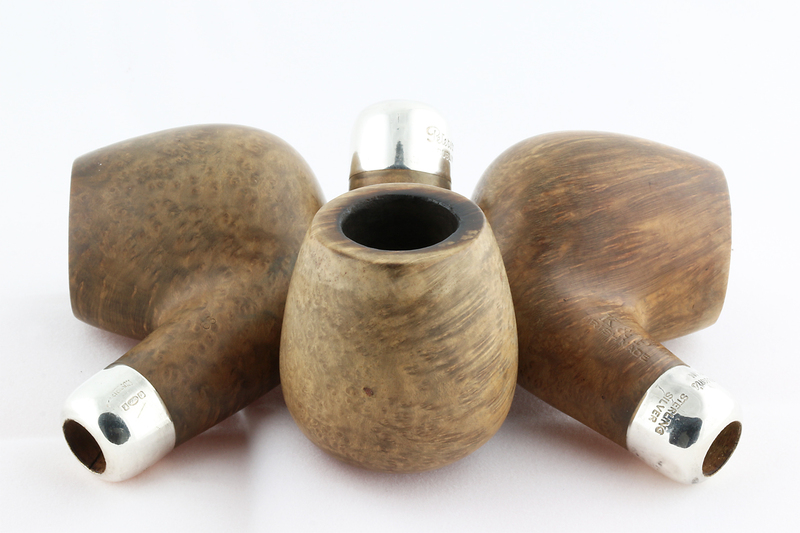 Tucked away behind these releases were others which are now becoming more familiar to Peterson enthusiasts: the muscular 107 billiard, the 04-horn antique reproduction (Peterson’s first serious foray into its early catalog), and that hidden gem, the 68 bent brandy. I would never have given the 68 much attention if a trio of them had not come to me from across the pond. 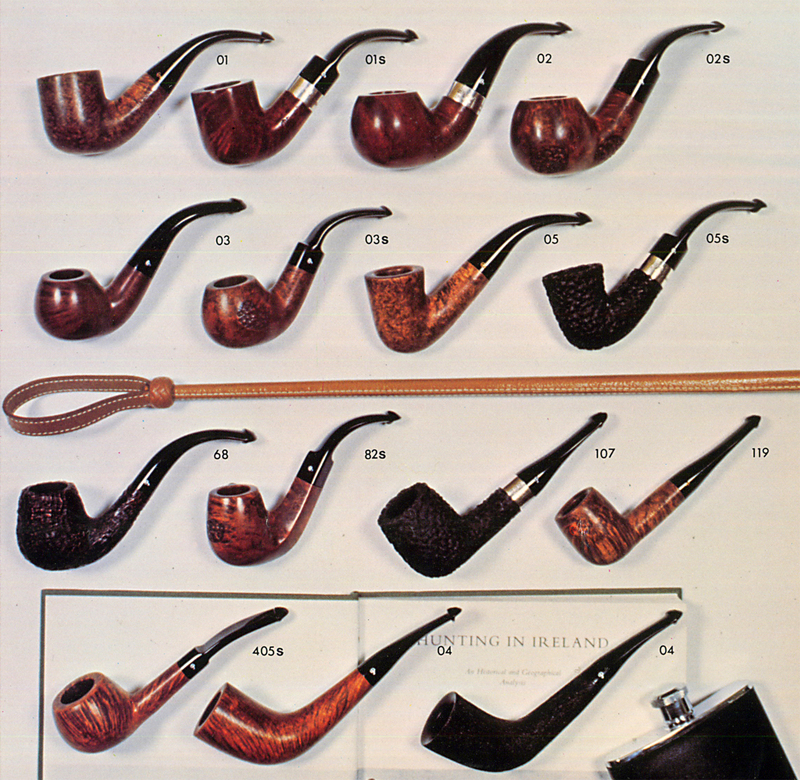 There were eleven pipes in the box, all from the same piper (now deceased), and three of them were sterling K&P Irish Made 68’s. 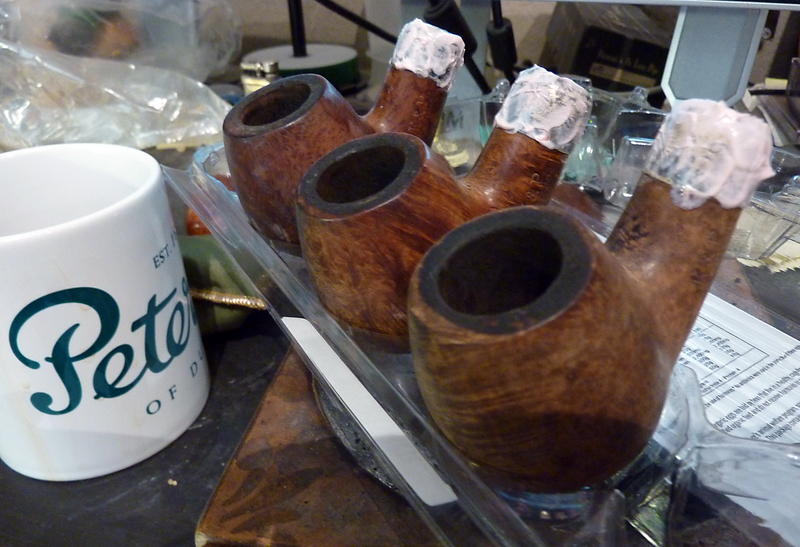 It struck me that this pipeman must have had a great affection for the shape to have had three of them in his rotation. The “K&P” in “K&P over IRISH MADE” is actually part of the line’s name, which most people don’t know, and understandably so. The non-System army-mount Peterson dates from the 1906 catalog and has been issued in several line names. It is currently enjoying a huge vogue, with Peterson releasing two or three new army-mount lines every season. 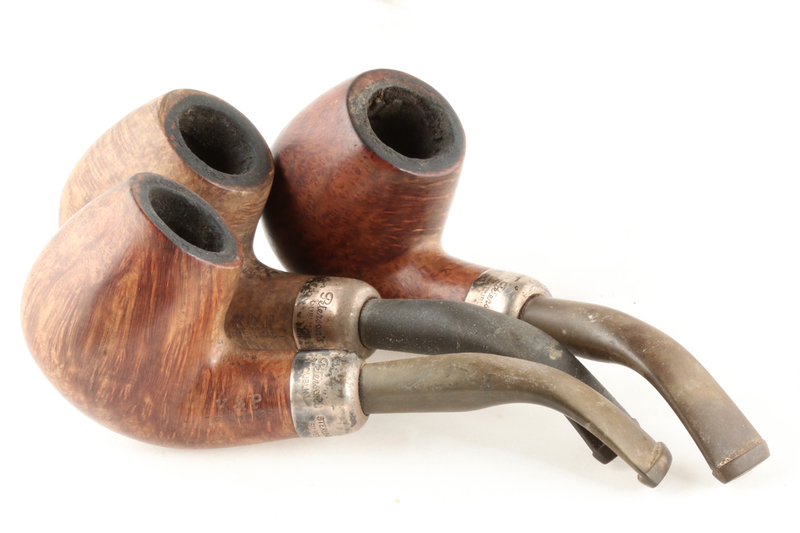 There is seeing a pipe and there is holding a pipe, and the two are not the same, as you doubtless know. Sometimes a shape’s form captures the eye and imagination, but as you hold it in your hand or clinch it between your teeth, it seems to find no place to rest. 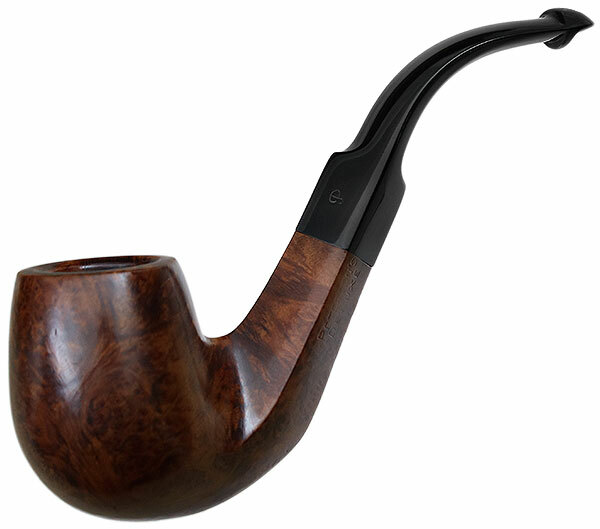 Peterson’s B7, for me, is one of those shapes—I love to look at it but can’t figure out how to hold it. I can say much the same for many artisanal shapes that have passed through my rotation—for whatever reason, they don’t seem to conform to my hands. My hands tell me the shapes are either awkward, unwieldy, too large, or simply misshapen. That was part of the story with my old 82S, a shape released the same year as the ones mentioned above. Partly the fault was in the chamber, because in those days the bowls were still dip-stained, which meant the stain continually produced a sour smoke. I didn’t learn until years later that knowledgeable Pete Nuts would alcohol-soak the chamber, or lightly sand it, or both. 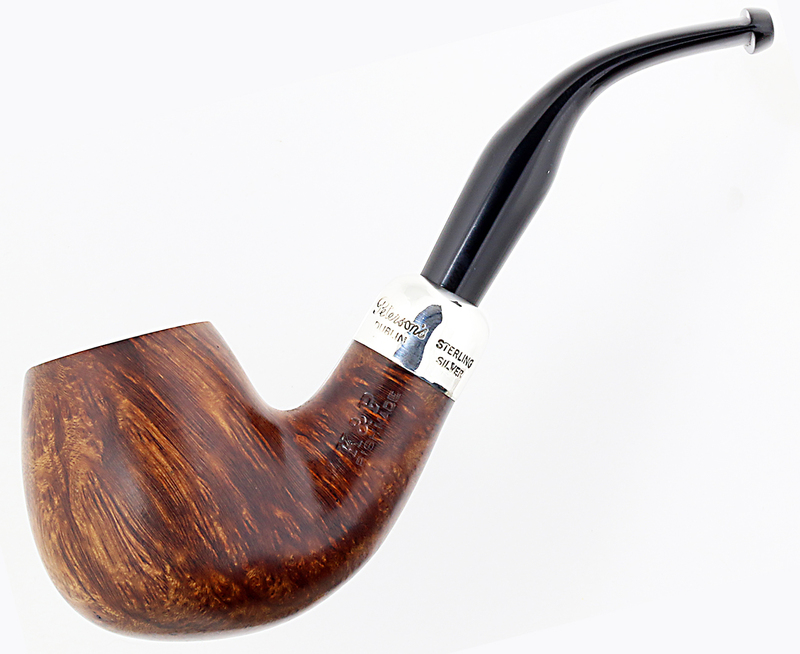 Of course, Peterson has long since given up dip-staining, but another problem for me was the bent diamond shank—it just could not be held in my fingers. Likewise with the mouthpiece: this was a very small P-Lip, and I just couldn’t get it to clinch in my teeth. 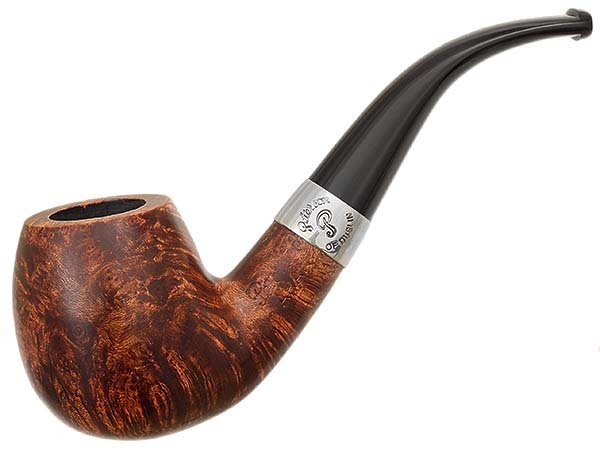 So somewhere, sometime, we decided to part company and it went to another pipeman, who I hope gave it the attention and love it doubtless deserved. 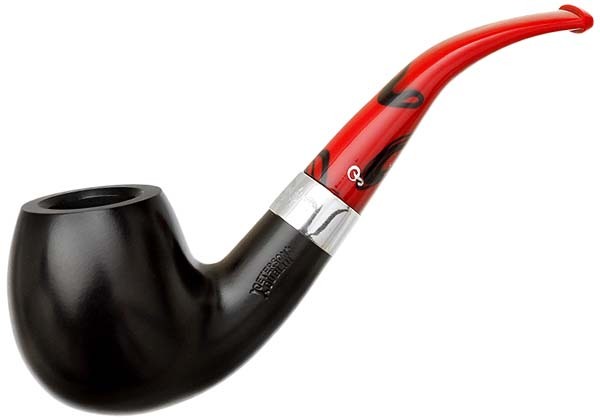 But as I say, the 68 is a pipe for the hands: voluptuous might be one word to describe it, but that’s got too much of a Rubenesque connotation. Plump may be a better word, and like so many of Peterson’s best shapes, it possesses a solidness, a kind of wholeness, that seems to fill the hand. I know people refer to this shape as a brandy, but in handling it and photographing it, what it really reminds me of is a brown-speckled egg straight off the farm. 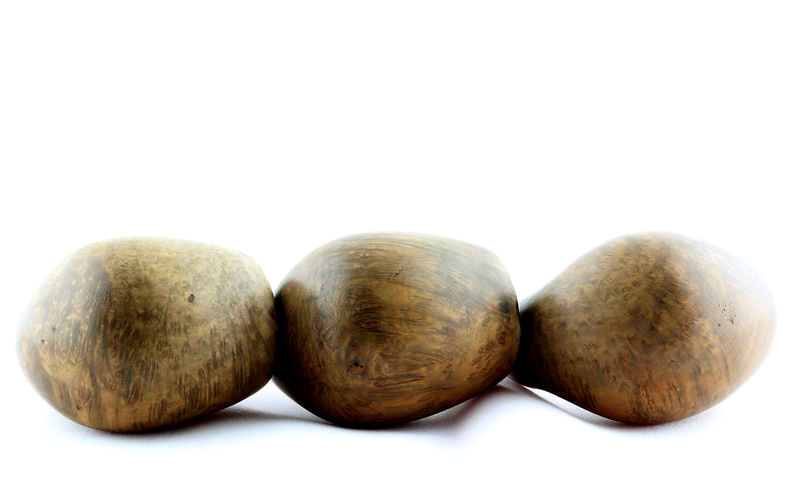 I did my restorations of the trio simultaneously, which only furthered my sense of the magnificence of the shape. 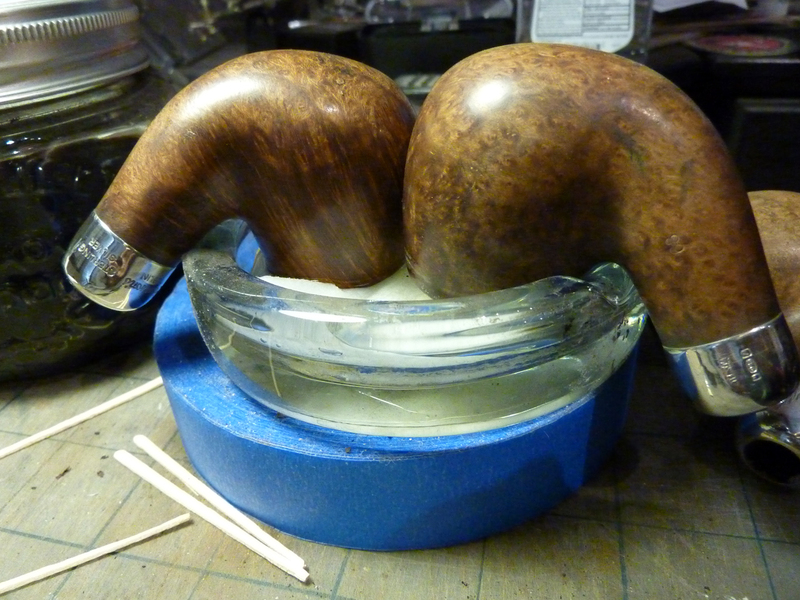 I submerged them in an alcohol bath for a day, which lightened the stain (of course), but is the best pipe-sweetening method I know how to do. 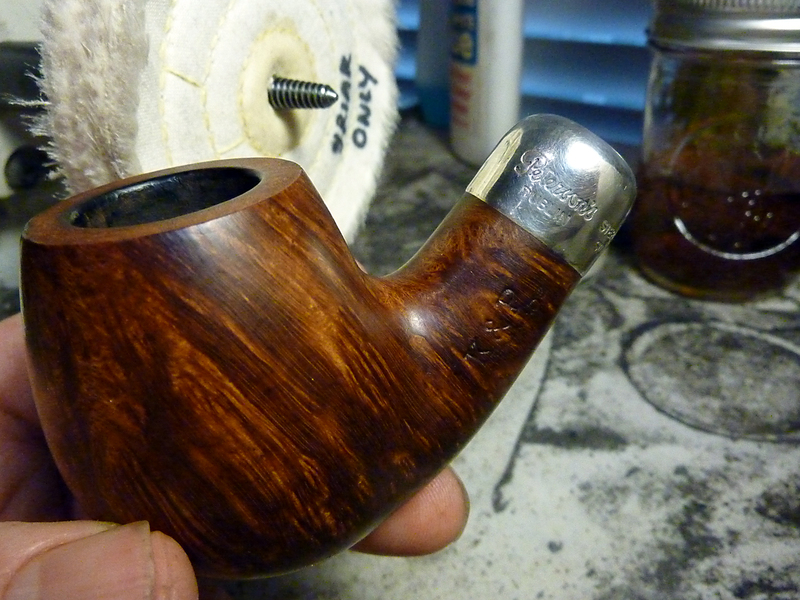 After the alcohol soak, I applied Simichrome Polish to remove the worst of the oxidation. I taped up the bowl as usual, then used white diamond to remove any bad scratches, being careful not to use it over the hallmark and maker’s stamps. I did a pass with Fabulustre over those, just to brighten them up. The rims all had some tar to deal with, and after giving them an alcohol-soak on cotton pads, I needed to do a little light sanding to get rid of a few light scars and scratches. 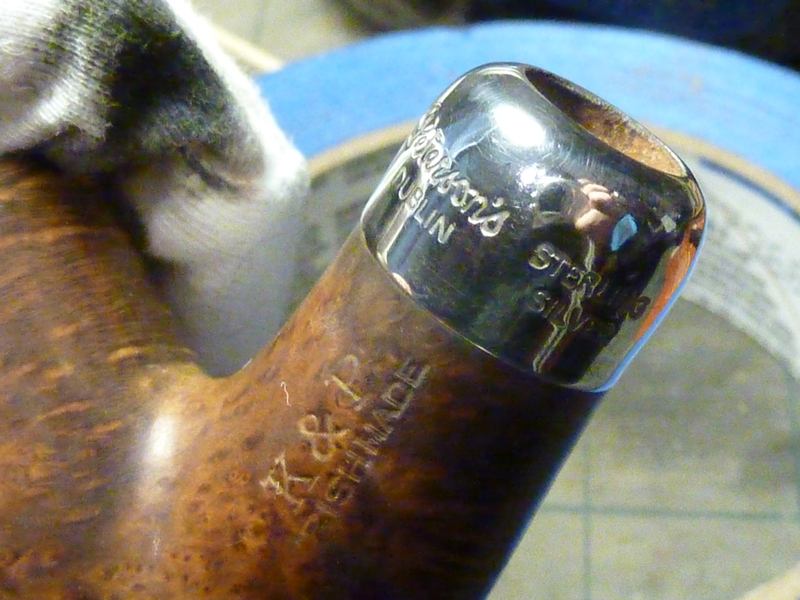 It wasn’t enough on any of the pipes to qualify as “topping,” but just to bring the rim back to an as-new finish. The soak did, of course, remove more stain, so I mixed up some Fiebings Medium Brown with alcohol and gave the rims 2 or 3 coats to bring them into uniformity with the bowls. I finished up each bowl by first giving it about five minutes’ worth of mineral oil, to refresh the wood and heighten the grain depth. 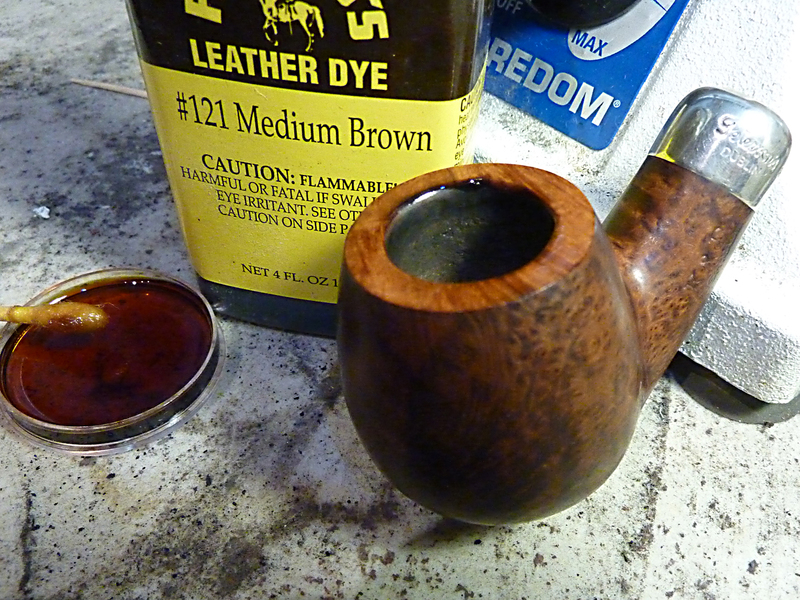 I’ve done this a few times now, after learning about it at Charles Lemon’s site, Dad’s Pipes, and really like it. I followed up with a carnauba buff. I have found that, when using mineral oil, I usually need to go back a few weeks later and reapply the carnauba as the oil dries. The last thing to tackle were the stems, which were oxidized but had virtually no dental chatter. I read every blog I see about getting vulcanite back to black, but I guess one man’s black isn’t another’s, and sometimes I just scratch my head and wonder how come the described method doesn’t work for me or why it the mouthpiece still looks brown in the photos. I imagine I’m one of the last on the planet to still use a bleach soak, but I haven’t seen convincing proof that there’s any other way to remove all the yellowing. I know it can sometimes raise small bubbles on the mouthpiece, but as I’m going to have to work through all the Micromesh grades anyway, it doesn’t seem like a big deal. I have learned to follow the 20-minute bleach soak with a few hours in a warm bath of Oxy-Clean, which does seem to soften the vulcanite and make the cutting easier. If it’s a really tough job, I sometimes also dip the sanding pad in water, but while it makes the cutting easier, it also seems to shorten the pad’s life quite a bit. 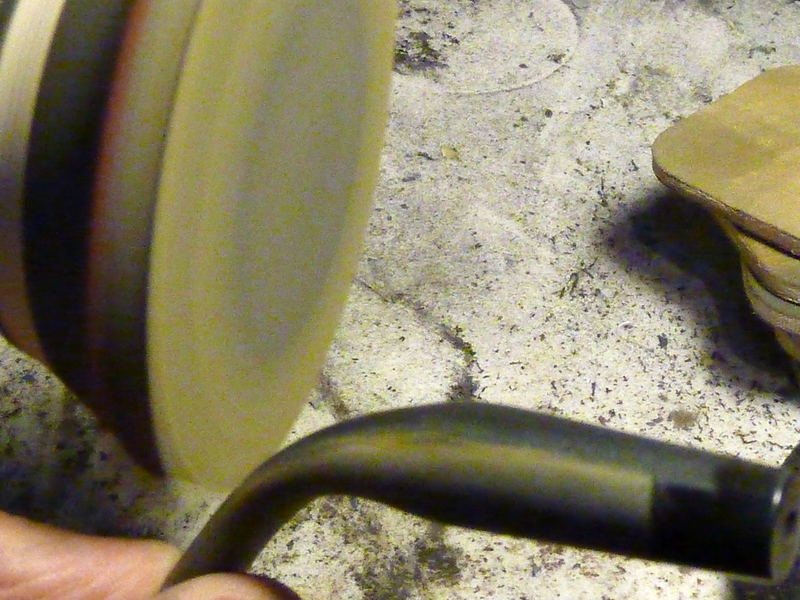 One of the skills I’m still working on is how to remove brown and yellow oxidation from the crevices at the button. This time I wrapped a 500 wet/dry grit paper over one of my needle files to get up close to the perpendicular wall. 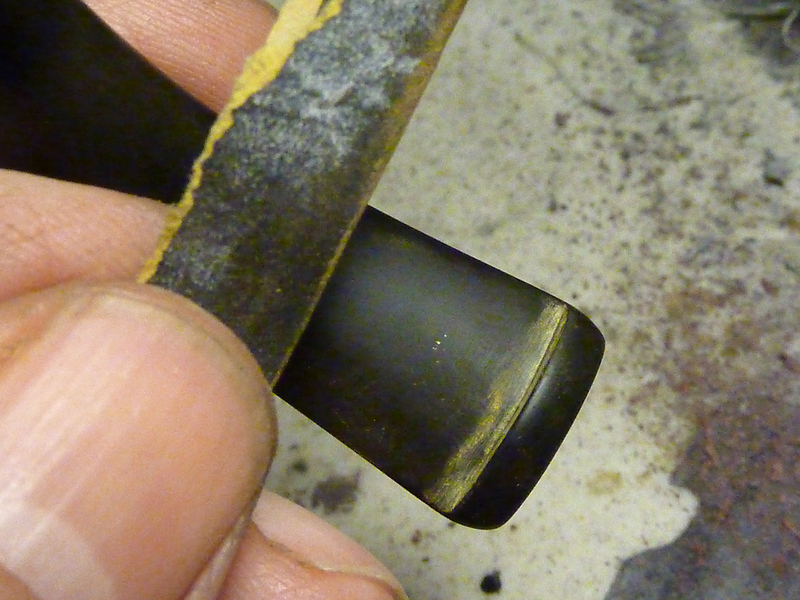 This time I also tried placing a 1000 grit pad on my Foredom lathe to cut through the initial oxidation. I had more than reasonable success, and as it’s an army-mount graduated taper with no stamps on the vulcanite to worry about, I’ll remember it for future projects. 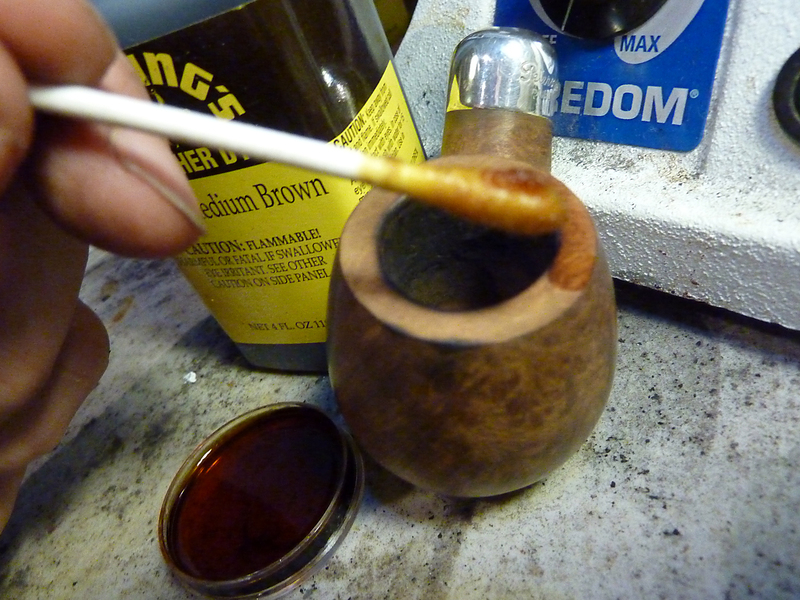 Using Obsidian Oil between sanding pads, which I first read about on Steve Laug’s Reborn Pipes blog, also works wonders, and I’ve taken to routinely applying the oil after every two grades of pad. The bowl assumes slightly different personalities according to the stem treatments, as you can see in the following photographs. The K&P Irish Made is my favorite of the 68s, in part because it’s an army mount and harkens back to the company’s earliest days. 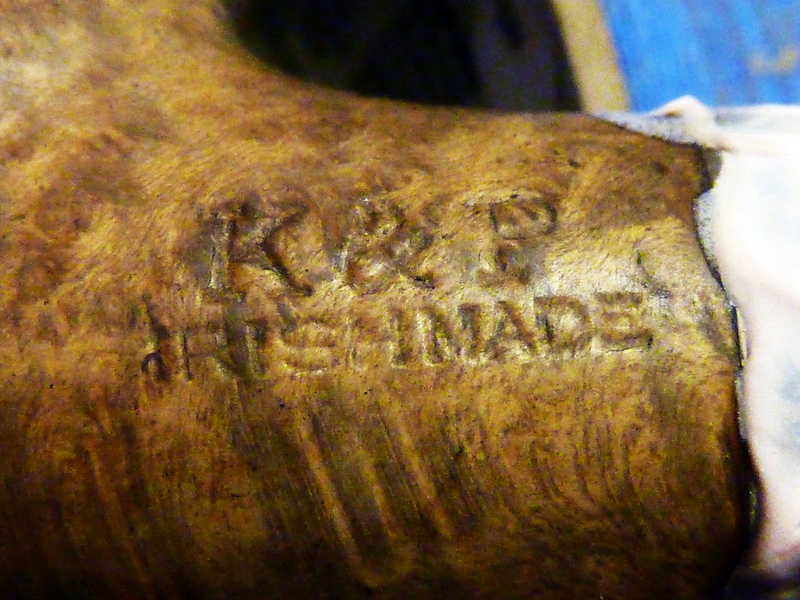 I also like the “K&P over IRISH MADE” stamp, another reminder of Peterson’s long history. But another part of my appreciation has to do with the way the shape seems to be enhanced with the army ferrule, rather than allowing it be absorbed, as it were, by a navy-mount taper stem. I’ve been trying to acquire a P-Lip tapered mouthpiece for my own 68, but so far to no avail. I’m not sure it actually looks as good as the more traditional army-mount fishtail, but I’d like to try it out and see how it compares in its smoking ability. I see far more of these shapes from European e-tailers than here in the US, although Smokingpipes has had one or two in the not-too-distant past. 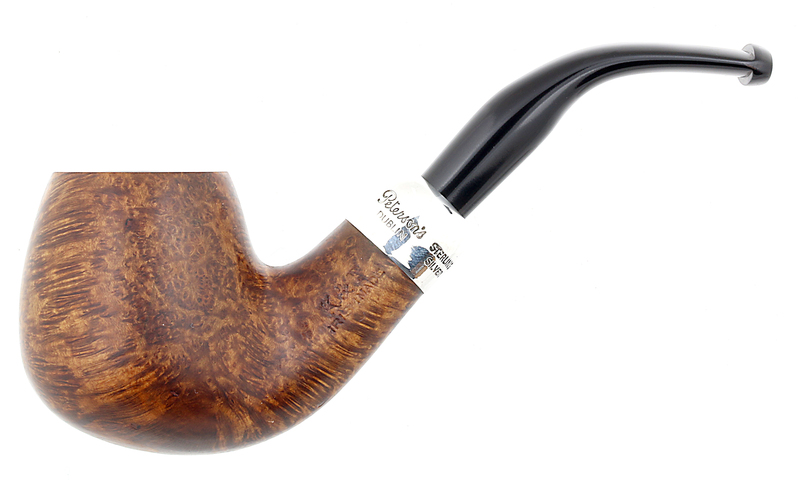 Chamber Depth: 1.48 in./37.74 mm. Outside Diameter: 1.67 in./42.79 mm. smoke it. I my younger days I did not like Dublins either. Thank you Mark for the inspiration. 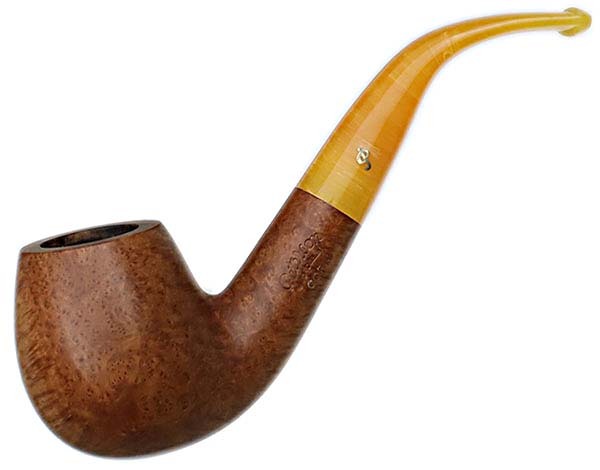 Ah, the Unsmoked Pipe! And a Flame Grain! As usual, a wonderful review of the 68 shape. And as for restoration on stems, it is two of us that still use the old tried and true method of soaking in bleach to remove oxidation. Otherwise it’s just a smoke or two and the ugly brown sulphur just comes to the surface again. In 30+ years of doing my own restoration work I am pleased with the results. Thanks again for a wonderful addition to your blog. Cheers. Thank you sir, for your kind remarks, and also for the reassurance on vulcanite mouthpieces. I took the liberty of posting a link to this site on the Smokers Forum Peterson Group that I moderate. Thanks, good sir. I will take a look, as I’m always interested in what other Pete users are saying. AH, one of these looks familiar! I have to admit that I’m enjoying my 68 – and don’t know why I never tried this shape before – I guess I just focused on the 69 shape…BTW: thank you for ANOTHER great post! A few questions/comments: ?what alcohol do you soak the bowl in? I typically use of grain alcohol only inside the bowls. re the bleach: I’ve had limited success using it, and wondered why. I will try the Oxy treatment too. re the pad life: I’ve found that 3M’s products out live and out perform others, IF one can find them – they must not produce their products very often, and they don’t seem to produce the various fine grits in soft pad products, so I sort of make my own by wrapping (everwhat grit paper) around one of the pads that I’ve used in the past. Yes, that one in the center (bottom photo) should look eerily familiar to you. Hope it smokes as well for you as the one on the right does for me. As per your comments–I follow Steve’s method of immersing the bowl in 91% isopropyl for 24 hrs or so. Like Steve Laug, I just top the jar when it get low, as the tars in the alcohol as well as the stain only seem to enhance the clean taste. Sometimes the effect is simply amazing–on a pipe, for example, you’ve owned and smoked for years–it tastes better than it ever did. I will look out for the 3M pads.